Video of Implicit bias in course evaluations: Think before you click! You have both the right and the responsibility to provide feedback to instructors and administrators. By completing your MERCURY course evaluations, you can help improve courses and teaching at McGill. The more students who fill out course evaluations, the more seriously the feedback is taken by both instructors and administrators. Course evaluations provide information to future students about courses and instructors. View previous numerical course evaluation results here (login required). Your participation helps make more course evaluation results available! You have the opportunity to evaluate your Teaching Assistants as well, helping them improve their teaching as they begin their careers. Department Chairs and Directors have full access to the results, including the comments (only after grades are submitted and approved). The results are reviewed by instructors and administrators each term. Information from end-of-course evaluations is considered when evaluating professors’ teaching for purposes of merit, reappointment, tenure and promotion. Your course evaluation responses are completely anonymous. The results become available to instructors and academic unit heads only after final grades have been submitted. Course evaluations are only conducted if there are five (5) or more students enrolled. This is to protect your anonymity. You can complete your course evaluations on a tablet or mobile device. + What can I do if I made a mistake while completing my evaluation, such as answering “strongly disagree” when I meant to answer “strongly agree”? You can request that your response be deleted by filling out this webform. If, based on the information you provide, Teaching and Learning Services (TLS) is able to identify your response, the entire response (numerical responses and comments) can be deleted from the evaluation. Note that you will not be able to resubmit your evaluation. + What happens if a student leaves hateful or discriminatory comments on a course evaluation? Comments that are determined to be hateful or discriminatory on the basis of gender, sexual identity, race, ethnicity or religion call into question the individual's ability to fairly assess an instructor's teaching. Thus, the entire response can be deleted from the evaluation results. These comments are antithetical to the principles of equity and inclusivity. They are further unhelpful to an instructor in reviewing and improving their own teaching abilities and strategies, or to that instructor's unit head in supporting their pedagogical development. Any instructor who receives comments that they believe to meet the characteristics described above may contact the angela.campbell [at] mcgill.ca (Associate Provost (Policies, Procedures & Equity) (APPPE)) to disclose the matter, which shall be treated in confidence. The APPPE and the SSMU Equity Commissioner will assess the anonymized remarks to determine whether these merit deletion of the response. If this is found to be the case, the response in its entirety (numerical responses and comments) will be deleted from the evaluation. This request can be made at any time and for any Mercury evaluations received during an instructor's time at McGill. + How is MERCURY different from RateMyProf and other third-party evaluation platforms? MERCURY, unlike RateMyProf and other third-party evaluation platforms, ensures that each person who submits a course evaluation is actually enrolled in the course. One of the attractions of third-party evaluation platforms such as RateMyProf is the comments. However, these comments are not necessarily reliable, as anyone can post on these platforms whether they took the course or not. 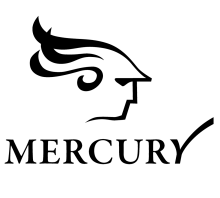 Instructors and Department Chairs read your feedback and take it seriously when you submit through MERCURY. Since comments on third-party platforms are unreliable, your feedback will likely not be taken into account. Why should you use the MERCURY system instead? Instructors often make tangible changes to their courses based on your feedback. Did you know that previous numerical course evaluation results are available for you to view? When enough students respond and an instructor has not objected to access, these results are available in Minerva. You can use this information when deciding which courses to take. Your participation in course evaluations is key to making more results available for students to view. By taking the time to submit through Mercury, you are both actively improving McGill’s learning environment and making more information accessible to other students.